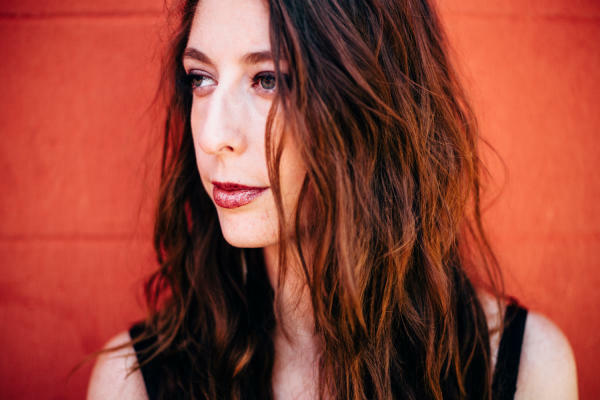 In a city defined by music and home to countless musicians, Ali Holder has managed to stand out thanks to her undeniable talent, disarming lyrics and soulful voice. With two acclaimed albums under her belt, Holder is showing no signs of slowing down with the release of her latest EP, Huntress Moon. No stranger to Austin, we decided to sit down with Holder to recount her influences and some of her best memories of living and working in the Live Music Capital of the World®. Ali Holder. Credit Stephanie Macias. How has living in Austin shaped the sound of your music? I started playing with a band once I moved to Austin, so that enhanced my sound quite a bit. I&apos;ve been able to experience all sorts of music from cumbia to electronic. A lot of which I never experienced before moving here and might never have sought out otherwise. I&apos;ve been here seven years and have been able to witness musicians grown and reinvent themselves; it&apos;s inspiring. There are some amazing songwriters here which is my compass. I think being involved in this community is enriching in itself. It&apos;s definitely given me a much looser and open idea of what my music can be. What are some of your best memories playing here in Austin? I have so many. I have early ones of playing in my first band at Trophy&apos;s back in 2010. I always love playing at Stubb&apos;s. It&apos;s a great room with great sound and a nice crowd. I am just thankful anytime I play and people show up. I am thankful I get to make music with some really talented people. You’ve traveled and played in different cities across the country. How does the music scene here in Austin stand out to you from other places? There is a real sense of community here. Not just between musicians but small businesses and venues that all work together as well. Also, there is always someone good playing, any night of the week. Who are some of the most memorable artists that you’ve seen play here in town? There are so many good shows all the time. I really love seeing Ephraim Owens. Black Red Black at the Continental Gallery, it was one of my staples when I first moved to Austin. I also love going to watch James McMurtry at the Continental on Wednesday nights. I saw Patty Griffin at Stubb&apos;s a few years back which was great. So many of my friends are so talented too, I think I am spoiled to the amount of good music there is out there. Of the non-Austin residents shows, I saw the Punch Brothers play at Bass Hall at UT several years ago. That was a spectacular show. With the city ever-changing, what are some qualities about Austin that you feel like will always stay the same? Are there things you wish you could change? My next door neighbors Bill and Kathy Murray represent old Austin to me. They&apos;ve been playing music here since Stevie Ray Vaughan started playing here. There is just a certain eclectic, warm, funky, summer evening feel to them that represents Austin to me. &apos;Keep Austin Weird&apos; came from somewhere. I think it was (and still is) a place where you can fly your freak flag. No matter how many condos are built and how many new people move in, that is something that will hopefully never die out. I have only lived here seven years and have seen it grow so rapidly, I can&apos;t imagine for folks like my neighbors who have seen it change so drastically over the decades. If I could change anything it would be the price of rent and of buying a house. Being a homeowner or even renting anywhere that isn&apos;t super far on the outskirts (or the next town over) is not a reality for musicians here. I guess that just comes with a growing city. I do hope that when people move here (and believe me, I am one of them!) take care to really support the local businesses that make Austin what it is. When rent is skyrocketing and small businesses are being prices out to bulldoze and build condos we lose a piece of Austin each time. Any hole-in-the-wall places here in Austin others may not know about that you’d recommend? I like going to the Cloak Room near the Capitol. It&apos;s dark and nostalgic. I love going to Sam&apos;s Town Point down south to dance. It&apos;s like the VFW/American Legion halls I grew up going to. I Luv Video is pretty fantastic. Sweet Ritual is right next to it, delicious vegan ice cream. Do you have any new music that you’re working on? I am releasing an EP called &apos;Huntress Moon&apos; [in February] at Cactus Cafe. I leave for tour right after that; I am just working towards that at the moment. When I get back in March I plan on starting writing again. I did about 50 interviews on love and relationships when I turned 30 last summer. I plan to weed through all those and start writing about them. If there was only one venue for you to play at, what would it be and why? That&apos;s hard to say. Sometimes I love a good listening room like Cactus Cafe or Saxon Pub. Other times I love having a good loud show at the White Horse or Stay Gold where people are dancing and drinking. So let’s settle this once and for all: best tacos in Austin? I live on the east side right next to El Chilito. My guilty pleasure is their puffy beef taco. Mi Madre&apos;s and Cherrywood Coffeehouse have really great tacos too. Honestly, I&apos;m pretty easy when it comes to tacos, these places are just the closest to me.